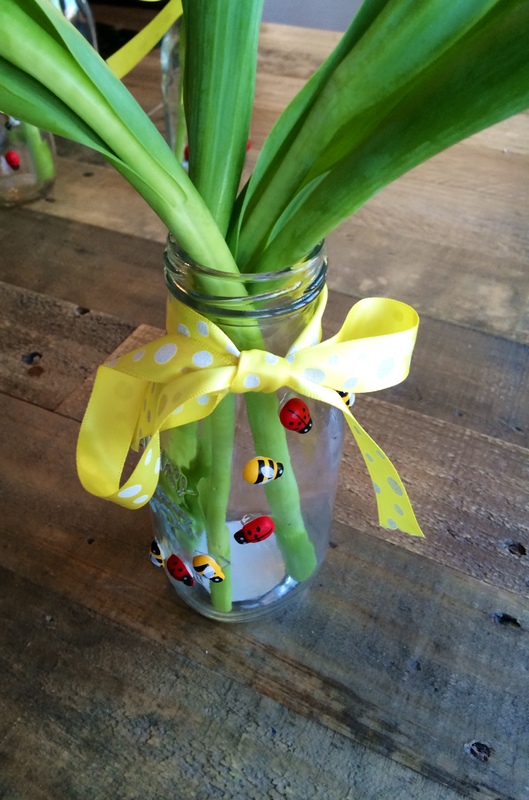 Surprise mom on Mother’s Day with this DIY vase craft. This is the perfect project for little ones who want to make something special and it’s so easy (I promise)! We started with these simple glass bottles (actually glass milk bottles that we bought at Michaels) but you can also use any glass (or plastic) bottles that you have at home. Gather your supplies – we found these adorable bee and ladybug wooden stickers but you can use anything you have at home such as cotton balls, glitter, beads or buttons. Just dab on some glue and let the kids decorate as they please. Little M loved designing patterns with the bugs and making them “crawl” all over the bottles. Don’t forget to add a pretty ribbon! We love yellow around here. Then visit your local flower shop or supermarket for some pretty blooms. 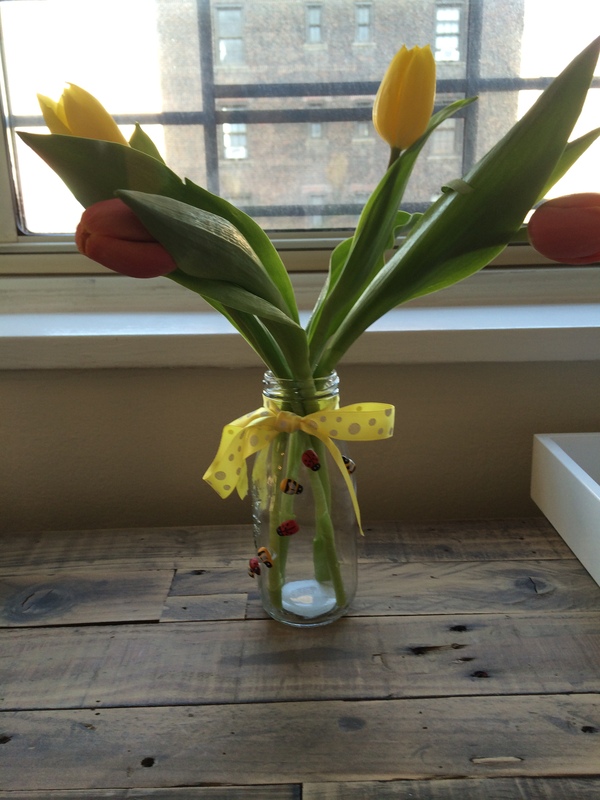 And voila – a Mother’s Day vase that any mom is sure to love!